Championship Sunday is here and 3 of the 4 teams playing today were playing on Championship Sunday last year. The Patriots, Ravens, and 49ers are all making their second trip in a row to their Conference’s respective championship game. The Falcons are the new team in the equation, replacing last year’s eventual Super Bowl champion Giants. The Harbaugh brothers were swept out of a chance to make the Super Bowl last year. Will it happen again this season? NFC Championship Game – San Fransisco 49ers at Atlanta Falcons, 3:00 PM on FOX – The Falcons are 4-point underdogs at home to the Niners and most people don’t have much faith in the home-team. While the Falcons got their first playoff win in the Matt Ryan-Mike Smith era last week they were practically begging the Seahawks to steal the game from them before putting it away on a last second field goal. 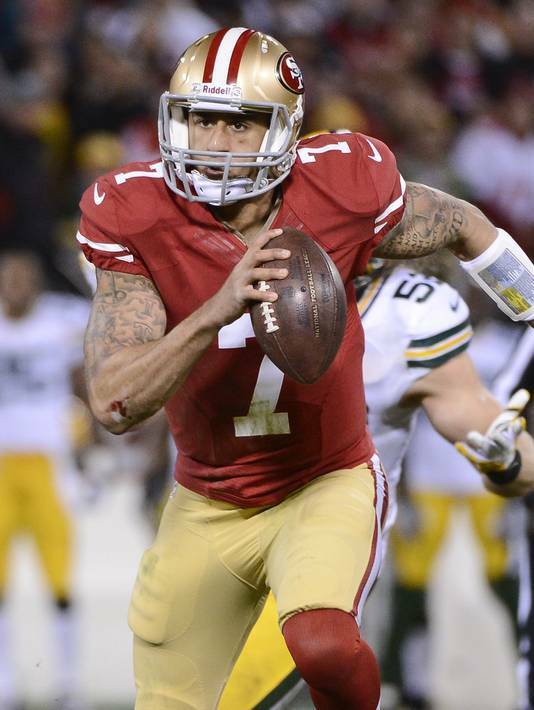 There was some question as to how 2nd year Niners quarterback Colin Kaepernick would acclimate himself in the playoffs and he answered those questions resoundingly last week when he passed for 263 yards, ran for 181 and scored two touchdowns each through the air and on the ground. I’m not sure if Kaepernick will match the success of his first career playoff start but the Falcons defense will need all hands on deck to stop him. Veteran defensive end John Abraham missed the second half of last week’s game but should be good to go for this week. Falcons cornerbacks Asante Samuel and Dunta Robinson will try to slow down the Niners weapons on offense. The bottom line is that while the 49ers offense can beat you the strength of their team really lies on the defensive side of the ball. Good defense is sometimes forgotten during the post-season when guys like Tom Brady and Peyton Manning are flinging around the rock. The Niners have the best defense left in the tournament and it’s not really that close. I’m going to predict that Matt Ryan and company will have a long day dealing with that San Fransisco front 7. Michael Turner will have trouble as well. The game will rest on the shoulders of Matt Ryan and I just don’t see him making enough big plays to win this game. The Falcons defense won’t do enough to overcome this and the 49ers will head to their first Super Bowl since the 1994 season. AFC Championship Game – Baltimore Ravens at New England Patriots, 6:30 PM on CBS – They’ll be a lot of cliches used to describe this game – a battle, a bar fight, a bloodbath. I expect a great game and a close one as well. No matter what people say about either side anytime these two teams come together they usually play it close. The Pats are always up for big games like this and you don’t have to ask if the Ravens are going to be ready as it could be Ray Lewis’ last game. 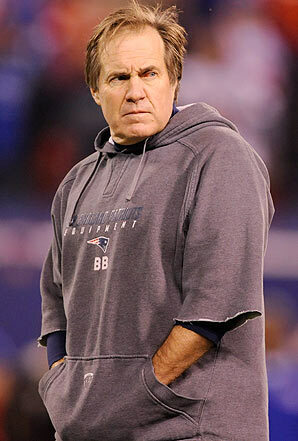 Anyone looking for a blowout in Foxboro should go looking somewhere else. This is going to be a close game. I envision more points being scored in this one than last year’s 23-20 AFC final. The Ravens are a year older on defense and aren’t the juggernaut that they have been in the past. Terrell Suggs and Ray Lewis are both hobbled but I’m guessing Lewis just gets through this one on adrenaline alone. Ed Reed is the key. He was quiet last week but he didn’t let Peyton Manning get anything behind him. He’ll try to do the same with Tom Brady this week. Defensively the Pats are better than they were last year but I still don’t see a championship caliber defense (not to say that they can’t win a championship, just not on defense alone). There are some match-up problems for them. Torrey Smith may be a handful like he was earlier in the season. If the Pats play the long ball it should open up opportunities for Dennis Pitta and Ray Rice in the middle of the field. I’ve criticized Joe Flacco a lot but he has come to play during this post-season. I think he has another strong game today but Tom Brady will be a little bit stronger. I think the Pats use the home-field to pull this one out but it will be by the most razor-thin of margins (no pun intended).